Size: 17 3/4 x 5 1/2. Hi! 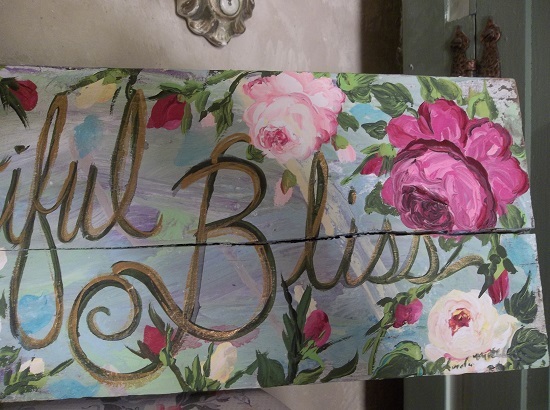 Here's a little about my handpainted items. I paint in acrylic paints. I paint on almost anything. My items are usually signed and dated. They may or may not be sealed. Wall decor will have a hanger unless its a canvas. You get exactly the item in the title, and the pictures show the exact item you get. If you like it you should buy it. NO SPECIAL ORDERS PLEASE !!! I am not a perfectionist. I'm just a shabby girl who likes to paint! I believe a piece with flaws adds character and increases it's price! Imperfections make a piece perfect. If you don't feel this way, my pieces may not be for you! 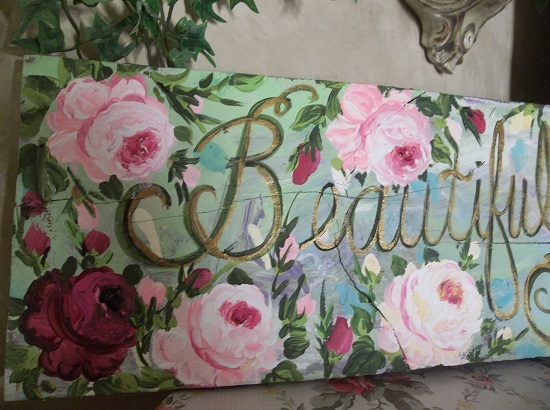 =( If you love flowers and the cottage garden style, if you love shabby funky junk, weathered wood, unique ornate junk from my heart, You've come to the right place! =) Sit back, relax, kick off your flip-flops and stay a while. Shop to your hearts content! Painted pieces never show the depth of a piece in real life! Pictures cannot go there. You know how hard it is on me to only take 3 pics! Contact with any questions. 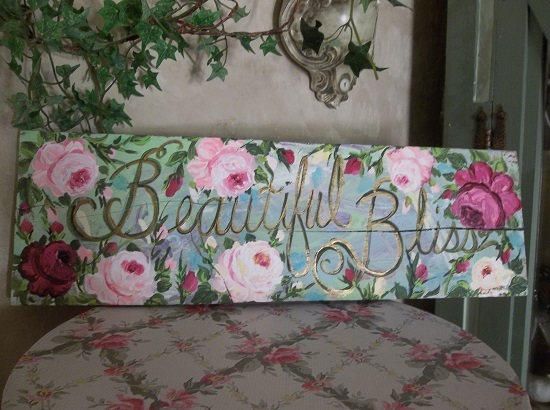 Thanks for shopping Rhonda's Rose Cottage Designs! FREE SHIPPING IN UNITED STATES ONLY! (lower 48).